SEO or search engine optimization is the process in which you make your site more easily read by the search engine spiders. Thus giving it more visibility and higher search engine rankings. The higher your rankings, the more searches your site will be included in and this in turn will get you more traffic. There are a lot of factors involved when optimizing your site for the search engines. They range from keywords to image tags to social media. 1. Not Enough Content – Content is very important for your site. The search engines want to display the best sites for people who are searching for specific information. If your site contains quality information and content, they will consider your site to be one of these sites. Make sure your content is relevant to your site, has proper spelling and grammar, includes not only text but videos, links, images and other content. 2. No ALT Tags – Alt tags, also referred to as alt text, describe images on your site. The search engines cannot read images so adding an alternative text tag gives the search engine a readable description of the image to help the search engine spiders place your site within the search results of that text. For example: If you have a picture of a sunset with vibrant colors you may give it the alt tag description orange red summer sunset. Don’t use words that do not describe the image in hopes of getting better SEO results. This can do more harm than good by lowering your rankings. 3. Keyword Stuffing – Back in the day when search engines relied mostly on keywords it was a popular practice to stuff them in as much as possible. Now, keyword stuffing can get you penalized or even banned. Focus on one or two keywords or keyword phrases and sprinkle them lightly throughout your text. Keep your keyword density in the 1% – 3% range. So that would mean for every 100 words, use your keyword 1-3 times. This will give you a high optimization value. 5. Expecting Immediate Results – Many people make the mistake of thinking as soon as their site is up, they will be listed in the search engines. SEO is a long term, ongoing process so don’t feel cheated if your site does not get instant rankings. Your site will need several months or more to get indexed and appear in search engines so keep working on your SEO and give it time to work. 6. Not Being Social – Social media and SEO bond together for a mutually beneficial relationship. Social media provides quality backlinks to your site. Social media can get your name much more widespread exposure. Social media can increase traffic to your site which is a major factor in SEO. The wider your social media circle, the better your chances of higher rankings. 7. Broken Links – Check your links often as broken links can hurt your SEO. 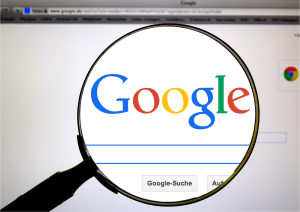 Search engines look for high quality sites to put in the search results and a site with broken links and/or images will not be considered as such. You will also want to correct any backlinks that point to pages that no longer exist. Google Webmaster Tools has tools to help you do this. 8. Not Updating Your Site – Keeping your site fresh and updated consistently is very important. Fresh content will get your site indexed more often. This does not guarantee higher rankings but with fresh quality content the chances are good. Fresh content also contains more keywords. Google loves fresh content so keep it coming! 10. Neglecting the Title Tag – The title tag is the search engine headline that shows up when you conduct a search and at the top of the browser when your webpage is displayed. This title should accurately summarize the web page’s content for the search engines and people doing the searching. Keep the title tag short, about 70 characters and make it keyword rich. Leave out meaningless words like, the, it, can, etc. Use different title tags for each page. Customize it to that particular page. Thank you so much for your feedback and the additional information. It is much appreciated. Great tips here. There is so much to remember when you are just starting out blogging. This is a great resource for both "newbies," and those with more experience – Thank you! Thank you so much Joyce. I agree, the learning is a never ending factor in this business.